I hold a bachelor degree in Computer science from Birzeit University,I am a highly motivated and smart freelance web developer and graphic Designer having about 3 years experience in custom web development especially in making dynamic websites using WordPress, BuddyPress, CSS, HTML. My love for graphic design stems from my passion to create while solving problems. It’s like combining art and math class – you get to create something stunning while figuring out the best solution. Also, the ability to represent yourself and your client through your work is an honorable feeling. In every job a person learns new things every day. I do too, which is another reason that my passion for design has increased. Every day I increase my knowledge base. My work doesn’t end with designing a website. I need to continue managing the site and its backend as well as monitor that everything continues to be well on the frontend. As a designer, I must deal with various bugs; each one leads me through a learning session. Although theoretical learning might not be that interesting, practical learning is much more fun. The challenge of resolving a problem inspires me to continue designing and go through learning experiences every day. The process of creating something new and witnessing the birth of the design is really amazing. Even today I always get excited to see the end product emerge. Waiting to see it is challenging as thousands of questions flood my mind: Will it be good enough? Can I make it better? Why does the design look incomplete? Is this what I imagined? My experience with vip.fund helped me to use my time wisely. I know that on certain days I do not have time to run errands or hang out with friends even. Each minute of each day is used for something. One thing that works really well for me is to write everything down. I mean everything. I write down if I am going to email people, test something, design or coding. It works for me to use trello platform that goes by the tasks and shows me what I am going to be doing every day. Knowing what I have to do everyday helps me plan out my week and my days. 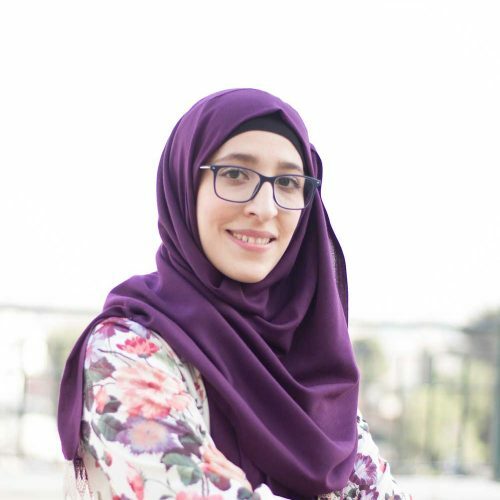 Joining the social publishing program with the vip.fund at Birzeit university as the IT team leader and also woked as a member in the design team it helped me identify gaps in my leadership skills , There is an important link between teamwork and self-assessment. By its definition, self-assessment sounds like a task for an individual, not a team, but recently I have been learning more about how the two support one other. vip.fund heped me also in these fields: Attractive contents creation, Marketing Strategy, launching campaigns, apply for grants and launching succefull fundraising campaigns. Learning New things in design, social Media and web fields.